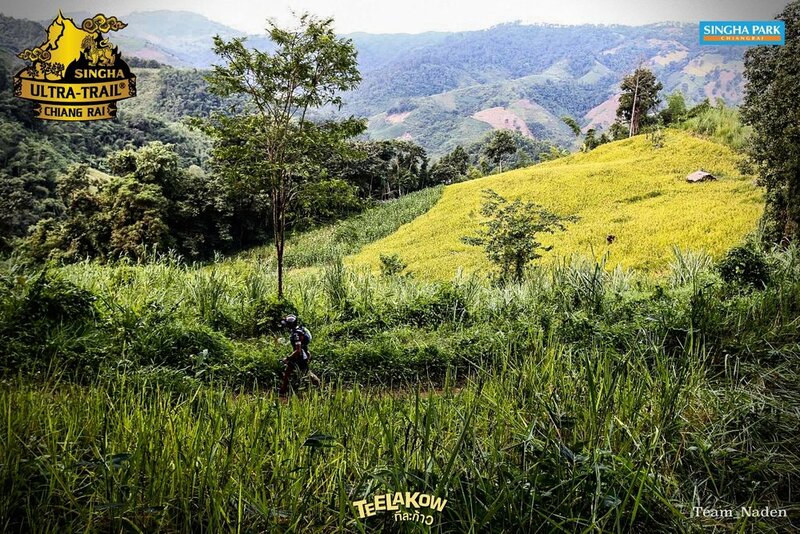 A great deal awaits trail runners who wish to compete in the Thailand events organised by teelakow of the 2019 Asia Trail Master Championship series. Get four entries when paying for three! This is a limited offer valid for just two weeks online and at the official press conference in Bangkok on 19 January. Four Trails Thailand connects four ultra trail races together: The Moon 100 on Kho Phangan (June), Ultra Trail Chiang Mai (August), Ultra Trail Chiang Rai (October) and Ultra Trail Panoramic (December). The latter two are established events already, of which Chiang Rai also receives the Asia Trail Master SuperTrail label for Thailand. All four events have points races for the ATM Championship. Check the poster and plan your Thai races! Bandung’s Ruth Theresia just keeps on running these weeks. In Nan, Thailand, she will start her fourth ATM ultra in five weeks tomorrow and it is again a special one. The likely new female Asia Trail Master Champion can surpass Malaysia’s trail icon Tahira Najmunisaa in total career ATM race victories! Winning in Nan would be Ruth Theresia’s 11th and would be the cherry on the pie of what has been a fantastic and mature season of the Indonesian number one. “Normally, Nan will be my last big race of the season, though,” she says a day before the start. Understandably so, as her biggest rival for the Championship, Frenchwoman Carole Fuchs, has opted to downgrade to 50km in Nan citing lack of training following her recent move from Thailand to Japan. Fuchs needs at least three more race victories, including the Izu Trail Journey as Japan SuperTrail with its 50 bonus points, to still have a shot at Ruth Theresia’s points lead in the ranking. “Only if necessary, I will do HK 168 early December,” Ruth adds. Mathematically speaking, she will be guaranteed of having won the ATM championship at the end of November following the Trail Blazer race in Singapore and the CM 50 Ultra in Philippines. 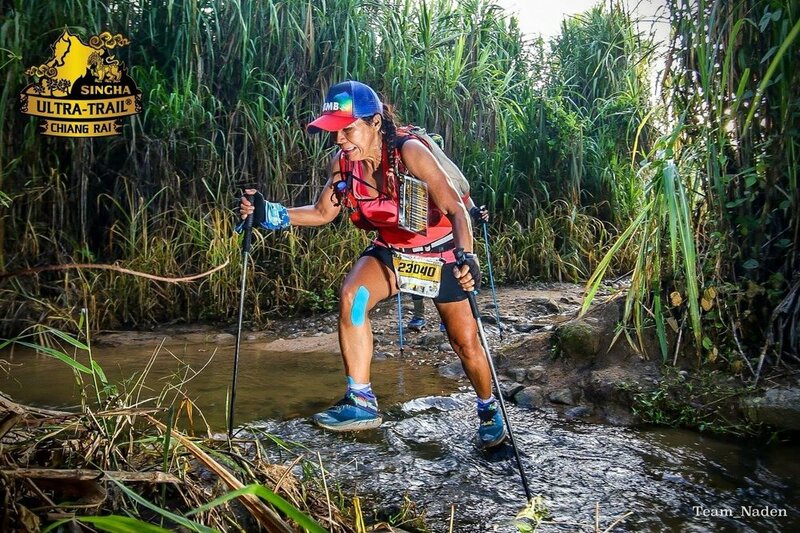 Other runners who could in theory still spit in her soup are Corinne Williams (winner 9 Dragons Ultra Hong Kong and Borneo TMBT Ultra) and Evelyn Lek (winner Magnificent Merapoh Trail Malaysia and Vietnam Mountain Marathon). Ruth does not need to win in Nan, as it would not increase her total points tally under the five-best-count system. There are many local runners, currently little known, who may or may not make life difficult for Ruth in trying to win her 11th ATM race. Let’s find out how it all unfolds as of tomorrow. A video interview with Ruth Theresia will also be uploaded on our facebook page later today. In the men’s 100km, which is actually 107km, Thailand arguably has the fastest runner on the start list with Pharait Varesin. However, as always to finish first you first need to finish. Varesin ran Nan last season as well, but retired half way leaving Sanya Khancai to run solo to the victory. Among all known people on the start list, Varesin is the top favourite, perhaps with France’s Emmanuel Abadie close behind. Abadie has scored good results in Malaysia and Thailand before. To note is also the 7th ATM race of the season of Malaysia’s Grandmaster Muhammad Shahrin Faiz Bin Roslan. The busy runner has made it into the top 10 of the ATM championship as 9th thanks to his string of finishes in tough races including two SuperTrails. Stay tuned all weekend for updates from Ultra Trail Nan in Thailand via our social media pages. A rather unfortunate service message: this year's ULTRON Ultra Trail Panoramic in Thailand cannot take place on the envisaged date of 7-9 December. The event, which was also being entirely redesigned and centred around Pai only, will return in 2019 on the same second weekend of December. Recent elections in the area have reportedly caused a change in governance and in this context it has proven to be too difficult to guarantee a quality event for the many runners who come to this one. Organiser Teelakow apologises for any inconvenience this cancellation may cause, and emphasizes Ultra Trail Panoramic is not dead and will return next year. In the context of Asia Trail Master, it means the final race weekend is now entirely focused on Izu Trail Journey in Japan, where the new champions will be crowned. For the lovers of 100 miles races, it means that HK 168 in Hong Kong on 1/2 December is now the final ultra trail on our calendar this season. Registrations for that event are open. 100 miles finishers score 50 bonus points for the championship, which puts winning HK 168 on the same level as winning the Japanese SuperTrail, Izu Trail Journey, on 9 December. The 2nd edition of Compressport Ultra Trail Nan in Thailand has opened registration. Runners keen on the tough 100k race - actually 109 km this year - need to be quick as entries are flying out the door. The shorter 50k distance is reportedly already sold out. UT Nan 100 was a popular new entry in last year's Asia Trail Master championship, and the event on 20/21 October is expected to grow significantly. The 109k course goes in and around the Doi Phu Kha Park and is quite tough with approx. 6000 metres of elevation gain! The event is sponsored by our partner COMPRESSPORT as well. COMPRESSPORT has designed fantastic-looking event shirts, which can be yours if you sign up for the event soon here. Thailand's best two trail runners delivered a high-paced and fascinating dual on Koh Chang last weekend during UTKC, the first SuperTrail race of the 2018 Asia Trail Master Championship. Jay Jantaraboon and Sanya Khancia both beat the course record set by Steven Ong and Wataru Iino last season, despite the extra hill that was added to the course for this year. Finishing barely 17 minutes apart, Jantaraboon and Khancai sent also a strong warning to all other potential contenders for this year's ATM Championship. In the women's Ruth Theresia led a very strong Indonesian group performance. UTKC had the reputation already of being one of the toughest races on the ATM calendar, and last weekend confirmed that status even more. Whereas the approx 4400 metres of elevation gain on the 100 course is not necessarily earth-shattering, the steepness of the hills, the density of the rainforest and the long road section halfway in scorching hot temperatures force all runners to dig deep into their reserves. Organiser Teelakow is well-aware UTKC is very challenging and spares no expense to stock all aid stations abundantly, and set a CUT that is manageable for all participants as long as they keep moving. As such, 67 runners succeeded in finishing the 100K distance and they were all delighted, indeed. The main race was set alight quickly after the 4 am start when Jay Jantaraboon and Sanya Khancai opened the gas. Italy's Alessandro Sherpa was alert and followed, but after twisting his ankle badly he faded and was eventually forced to stop. Sherpa was in a position to grab the points lead in the ATM Championship in this race, but given his injury he will also need to sit out the 9 Dragons Ultra next weekend. Not following the Thai duo was Indonesia's Arief Wismoyono. Perhaps untypical, Wismoyono opted for a quiet start of his 100k. The first runner-up of the 2017 ATM championship would never play a role for the victory, and instead was battling with France's Clement Dumont for the third spot. At km 64, it looked like Arief had the potential to catch up with Dumont, but the latter kept a solid pace himself and was able to extend the gap substantially come finish. His second fourth place of the 2018 ATM season does put Arief Wismoyono in the lead of the championship ranking with 850 points, though. Dean Perez was not running in Thailand, and will be back on the your in two weeks for Cordillera Mountain Ultra. Jay and Sanya ran together for half of the race, until the Champion System runner accelerated and was able to put some distance between them on the way to CP 5 at km 64. The gap there was 12 minutes. It is quite impressive therefore that the gap at the finish was just 5 minutes more. It proves the resilience and fantastic form of 46-year-old Sanya Khancai, who also explained afterwards to be disappointed with his result. Certainly it is no shame to lose to Jay Jantaraboon, who scored his second ATM race victory after dominating Ultra-Trail Chiang Rai last October. The winner's time was 14:27, compared to 15:06 last season by Ong and Iino. It is still early season, but if Jantaraboon and Khancai manage to get five ATM race results they will both be hot contenders for the 2018 ATM title! The women's 100K enjoyed the presence of an international elite runner from France, Elisabeth Legros, who is spending holiday time in Thailand this month. Pre-race favourite Ruth Theresia had a great start of her race as she was able to keep the gap between her and Legros to around 15 minutes. Unfortunately, the Bandung runner then chose a wrong trail that sent her up another hill. When back on the right trail, Theresia of course had lost contact with Legros entirely and instead had to watch out for her compatriot Shindy Patricia, Philippines' Ann Jilian Pulanco and Thailand's Kanlaya Srinantawong. Montha Suntornwit was a DNS, unfortunately. Theresia was clearly in great form and also had luck on her side later on the day. Shindy Patricia missed a marker and got lost for a long time herself, and Pulanco had to stop the race being unable to still take in any water or food. Then, Elisabeth Legros began to suffer from serious foot blisters, too. And that was not her only problem: an insect flew deep into the French runner's ear and was stuck inside. Legros pulled out of the race at around km 75 and had to be taken to hospital to have the bug removed from her ear. As such, Ruth Theresia claimed the race lead and would hang onto it without rushing at nighttime to finish in 23:23. Shindy Patricia arrived two hours later to grab second. Thailand's Kanlaya Srinantawong was a further three hours back in third place. Srinantawong was engaged in a dual with another Indonesian Grandmaster runner, Lily Suryani, who reached the finish seven minutes later. Suryani is of course the only female two-star Grandmaster so far. Back from a hamstring injury that still bothers her, the runner from Bali remains an incredibly consistent finisher of ultra races! The 70K race of UTKC saw a tight battle between Fabien Bencler from New Caledonia and Britain's Paul Dunn, decided in favour of the former. The gap at the finish was just four minutes. In third place fourteen minutes down was Filippino Joeffery Camara. The women's 70K saw a Thai winner and podium: Patcharee Chuaythaisong, was faster than Parinda Sothonboon and Anisa Suebwongsan. 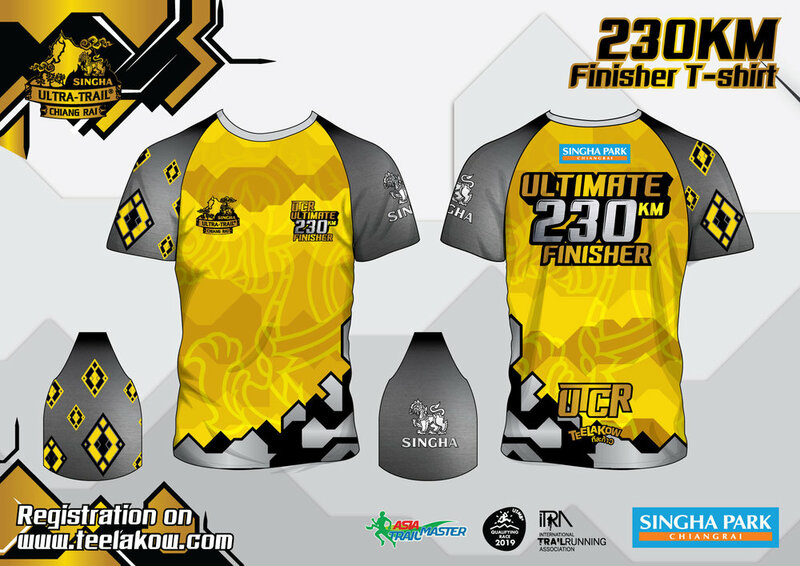 Ultra-Trail Koh Chang, aka UTKC, is again the first SuperTrail of the Asia Trail Master Championship this year, and despite Chinese New Year sees a remarkable line-up of international and domestic trail runners. Contrary to last year, it also looks very likely that the host country will have one or more athetes on the podium of the main event, the 100K race. Two of the country’s best trail runners, if not the best, will be at the start: freshly married Jay Jantaraboon - the dominator at Ultra-Trail Chiang Rai last October - and Sanya Khancai, the most successful Thai runner in ATM so far with race victories in Ultra Trail Nan 100 and Vietnam Mountain Marathon on his record already. The men’s 100K, which starts in the early hours of Friday, is a meanwhile renowned tough and technical race with over 5000m of elevation gain. Taking place mostly during the day, the heat can be scorching in certain areas of the course. On the positive side, runners can enjoy the fantastic scenery of Koh Chang island to the maximum, and the fastest runners are expected to be back at the finish in the late afternoon and evening, in prime time in other words. While many athletes can legitimately dream of a podium finish tomorrow, if Jay Jantaraboon showed the same kind of form as in Chiang Rai a few months ago it would be hard to bet against him. Having said that, UTCR and UTKC may be organised by the same company Teelakow but they are two very different animals. This one is a lot more technical and tactical. Last season, Japan’s star runner Wataru Iino looked set for a grand victory in UTKC, yet completely disintegrated in the final 20 km and got caught by Soonseng Ong. The Malaysian was kind enough to stay with the dehydrated Iino until the finish, but the Japanese ace made it clear to everyone Ong had been the stronger man. A scenario like this can repeat itself always in ultra running and especially in a tropical climate. Yet Jay Jantaraboon is no rookie. How close can Sanya Khancai stay with Jantaraboon? Will Khancai and Italy’s Alessandro Sherpa take off like bullets again, as they did in Ultra Trail Panoramic 100 miles last December? Another traditionally quick starter could join them in an early attack: Arief Wismoyono from Indonesia. The runner-up in the 2017 ATM Championship can definitely not be underestimated and has been showing excellent form in the past six months in both ultra and medium distance races. This trio could take the fight to Jantaraboon, of course with the risk of running against a massive counter punch. Wismoyono and Sherpa will have a battle between themselves as well this weekend, namely for the points lead in the ATM Championship. Sherpa was third in Tahura Trail, Wismoyono fourth. That’s a difference of just 25 points. Other podium candidates on a good day are Frenchman Clement Dumont, third in Korea 50K in 2016, Britain’s Robert Butcher and Filippino Jared Teves. In the women’s 100k start list we see perhaps fewer known and big names, but one stands out: Ruth Theresia. The always smiling second runner-up in the 2017 ATM Championship launches her 2018 campaign in Thailand this weekend. Ruth Theresia has the experience to bring this to a good end as well. The Indonesian will be competing against a whole field of Thai runners, of whom Montha Suntornwit is likely the biggest podium candidate, and against her own compatriots and fellow Grandmasters Shindy Patricia and Lily Suryani, fifth and sixth respectively in the 2017 ATM Championship. Filippino Ann Julian Pulanco could also be a podium contender on a good day. As this is ultra, there can of course always be a new name popping up from nowhere. Apart from Wismoyono, Theresia, Suryani and Patricia, there’s two more ATM Grandmasters at the start of the 100K tomorrow. Brunei’s Ali Ajis Rasil and Filippino Cheryl Bihag. Both accustomed to the ultra distance, they will be adding another point on their march towards a second Grandmaster star. Ultra-Trail Chiang Rai will be the longest points race in the 2018 Asia Trail Master Championship. While keeping last year's inaugural 122 km race course, the people at teelakow in Thailand are adding 'The Ultimate 200' to the programme. And actually the course is 220 km.... For lovers of long ultras, this will be a feast! Both the 220 km and the 122 km are marked as A-races, meaning the winner scores 400 performance points on top of the 100 for finishing. The 220k finishers will receive the additional 50-point '100 miles' bonus. Also the top 10 of the 66K C-race will receive ATM championship points according to our points system. Venue of the event will again be the great Singha Park in Chiang Rai, which is relatively close to the airport as well. Chiang Rai is a tourist area, so your companions can visit the sights while you are doing the running. The 220k starts on the 19th of October at 6 am, the 122 km starts 24 hours later.